MCR yesterday announced that it has acquired the 111-room Hilton Garden Inn Allentown West located in Allentown, PA, for $15.0 million. The property is located at the intersection of I-78 and PA Route 100, which is the center of the Lehigh ValleyÂ’s manufacturing and logistics industry. MCR yesterday announced that it has acquired the 111-room Hilton Garden Inn Allentown West located in Allentown, PA, for $15.0 million. The property is located at the intersection of I-78 and PA Route 100, which is the center of the Lehigh Valley’s manufacturing and logistics industry. The hotel’s location in the center of the region’s high growth economy includes major manufacturing and distribution operations for Samuel Adams, Volvo Mack Trucks, Nestle, Amazon, and others. 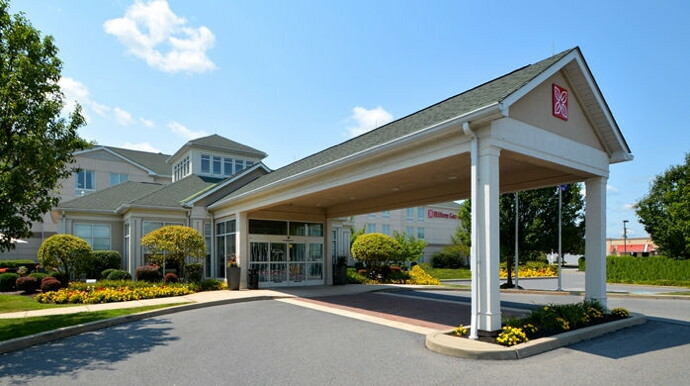 The hotel also welcomes guests visiting nearby attractions including Lehigh University, Kutztown University, the Crayola Factory, Dorney Park, and local vineyards. Situated at 230 Sycamore Road, the property features an indoor pool, fitness center, free Wi-Fi, 1,330 sq ft of meeting space accommodating up to 80 people, The Great American Grill, a 24-hour business center and a 24-hour Pavilion Pantry. Guest rooms offer a spacious work area, 42-inch flat-screen TVs, and coffeemaker. MCR is the seventh largest hotel owner-operator in the country and has invested in and developed 95 hotel properties with over 11,000 rooms in 25 states. MCR’s hotels are operated under 10 brands. The firm has offices in New York City and Dallas.